It kills millions of marine animals each year. Meanwhile, the Trump administration is eyeing whether to open marine national monuments to commercial fishing. One critic says the move would "fly in the face" of the intent of these protected sites -- to preserve ocean ecosystems. Thomas Breeding says he wants to warn other fishermen about the perils of the sea. We care about the fish you eat. "We can have our fish and eat it too." Commercial fishermen face vast uncertainty about changing ocean ecosystems, complex management systems, and the staggering costs to enter America's fisheries. These factors have contributed to a new challenge: declining numbers of young fishermen entering the fishing industry. 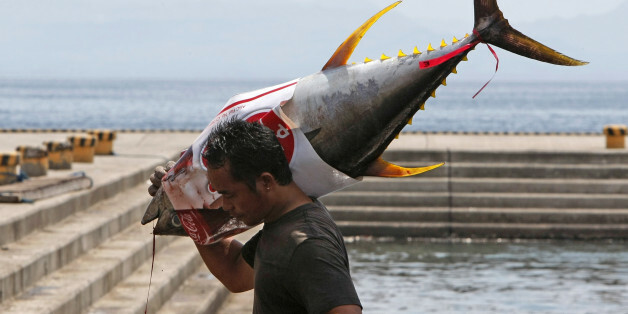 Nearly a third of all fish caught goes unreported. Although not moving fast enough, the trend to sustainable seafood is now established and growing. More Americans realize that wild fish is the healthiest protein, and want to know that their grandchildren will enjoy it. The fishermen spent more than 10 hours in skiffs after abandoning ship. Striped Bass have come back from dangerously low populations before, and can do it again. We need to make sure to provide them all the help we can. They deserve it. We hope that citizens will use this tool to hold their elected officials accountable for managing fisheries sustainably and for enforcing fishing rules. And fishermen, whose livelihoods depend on healthy fisheries, can show that they are doing their part to sustainably manage our ocean's resources. We all know something is broken when 91 percent of all seafood consumed in the U.S. comes from outside the U.S, and over two-thirds of all seafood we eat is shrimp, salmon, tilapia, (almost all farm-raised under dubious conditions) or canned tuna. Our vast oceans offer a cornucopia of species, and we only taste four of them. It is a sad state of affairs that 91 percent of all seafood consumed in the U.S. is imported, with more than half of that farmed, often in dubious conditions. Last year, ADF&G announced that just under 29,000 tons of herring would be available to permit holders for the 2012 fishery -- by far the largest quota in the history of Sitka's sac roe fishery. Now is not the time to push the limits of the law and set dangerously high catch levels. Now is not the time to bow to industry pressure. Now is not the time to risk this species for short-term gain. 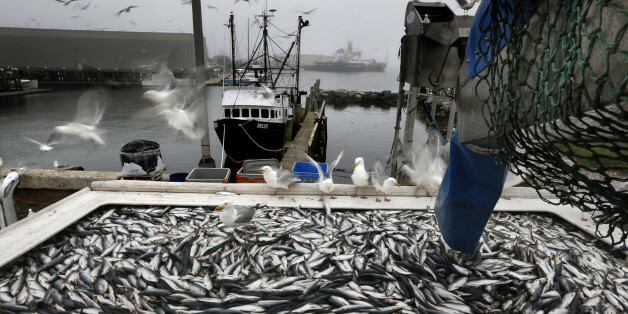 A recent statement sounded alarms over declining Pacific herring stocks. Why such a big fuss over such tiny fish? As well as constituting the basis for idiosyncratic pizzas, these fish are critical forage for a great number of other marine species.